cancelation 72h before the arrival date after that the 1 night will be charge. * Cancellation or changing of booking should be notified, ONLY by e-mail. Hostel Pastoral is all about convenience. Just 300 metres from Nice Ville train station and some of the city's best restaurants; this is the place to be if you're looking to get close to the action. The hostel has had some rave reviews, with 'affordable prices', 'clean rooms' and a 'nice outdoor area' at the centre of all the excitement. The staff are a hit too, guests have been blown away by their 'local expertise' and general 'awesome' capabilities. We also love that there's free WiFi in every room, no need for awkward loitering in the common areas. All Cancellations must be notified to us by e-mail, 48 h before your check in date.Bookings that have been cancelled after the 48 hour cancellation policy,the full first night be charge by the hostel. I loved my stay here, the staff were so friendly and helpful! The staff here were amazing. Would definitely stay here again. 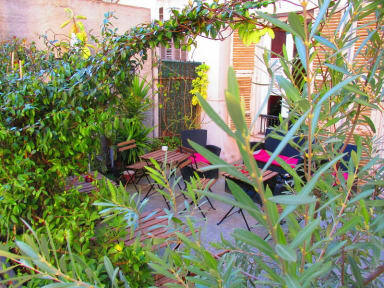 Hostel Pastoral is basic but very good for what you pay in an expensive area of France. The people working there are very friendly and will help you with all your needs. When the sun is shining, the terrace is perfect. The bathrooms seemed brand new and very clean - I appreciated this. My experience would definitely have been better if breakfast was included! Thanks for everything though dudes! Hostel Pastoral is a hostel .....located 150 meters from train and bus stations, and 30 meters from the downtown tram line. It has a nice deck- lounge and spacious kitchen. 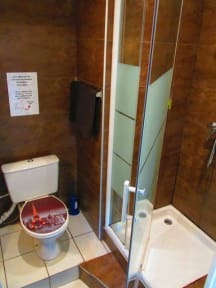 The showers are clean, plenty of hot water and Nice is a great city for hostelers. Found a super jazz club in the old town within walking distance. Very inexpensive public buses to Monaco, Ville-France-sir-Mer and Ventes. Need to work on cleanliness. This place was alright, beds were comfortable. Location was brilliant, right by the train station and the tram line. Right at the top of the Main Street. Kitchen didn’t have much to it, and there wasn’t much atmosphere but the terrace was nice. Would stay again. Good location, nice staff, well-equipped kitchen. Room was a bit basic, bed not great. Overall a good stay. The rooms were quite dirty. But location was perfect. For what you get it’s not a bad deal. But staff were never around. Kitchen and outdoor area was wonderful however bathrooms were not clean and felt like beds hadn’t been washed..